Southern Coast offers 24/7 emergency plumbing services in Boca Raton and the surrounding South Florida area. Our team is standing by to assist you in any way possible. When you need to call a plumber, you want to work with the best. Those in and around Boca Raton, West Palm Beach and Ft Lauderdale, Florida have Southern Coast Plumbing Services on their side. The experts at Southern Coast have the experience and knowledge to handle nearly any plumbing job for your residential or commercial property. Being the top plumbing company in South Florida means more than just knowing how to fix your problems—it means making customer service our number one priority too. When you call us, we will work with you to make certain we can complete the job to your specifications. Our expert plumbers are on call 24 hours a day, 7 days a week—we know that plumbing emergencies can happen at any time and we want to help get life back to normal. When you call Southern Coast Plumbing Services, we will look over your project and provide a comprehensive estimate before we begin the job. This means that you will get the job completed and are never left with any hidden costs or surprises. 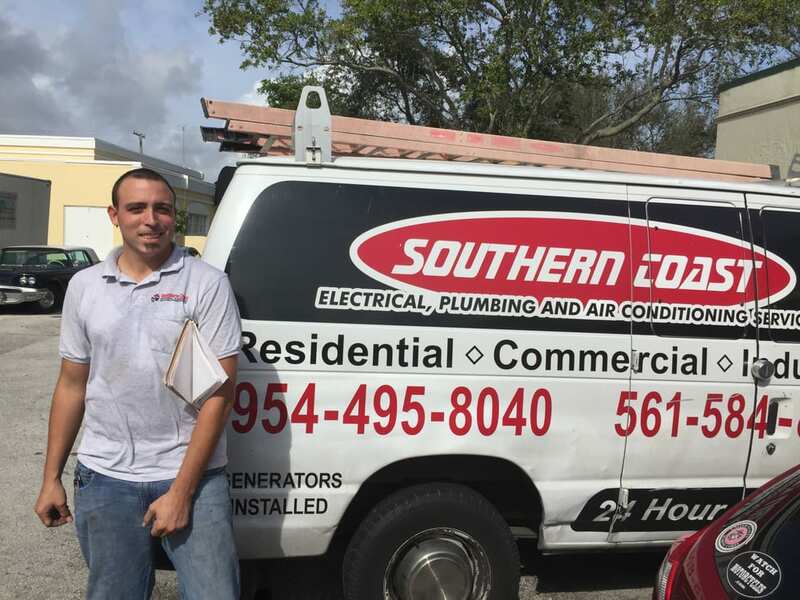 No matter what type of plumbing service you need in South Florida, the licensed plumbers from Southern Coast are ready to help. Our plumbing experts specialize in the installation of new toilets, sinks, tubs and more. We handle each project with the utmost care. No repair is too BIG. Our plumbers are fully equipped with the top of the line tools and equipment to handle any job. We pride our selves on the perfection of work and customer service. If its the middle of the night and your bathroom starts to flood! Don’t worry, Southern Coast offers Emergency Plumbing repair in a jiffy. Our on-call plumbers will respond ASAP.